Healthy, delicious and simple too! Two snack or dessert items that feature coconut manna (butter) or coconut oil for good brain and body food. Blend all that in the Bullet until pureed. Be sure nothing is cold at this point- nor too warm – due to the coconut butter which will turn rock hard and not mix. Taste this mixture before adding frozen fruit. It should be creamy, tasty, light, but not quite complete. Then add a handful of frozen strawberries (organic of course). Screw the lid on quickly and blend again. Pour into small dessert dishes. 1/3 C portion is plenty. If the mixture is slightly thin, chill in the fridge for 20 minutes. 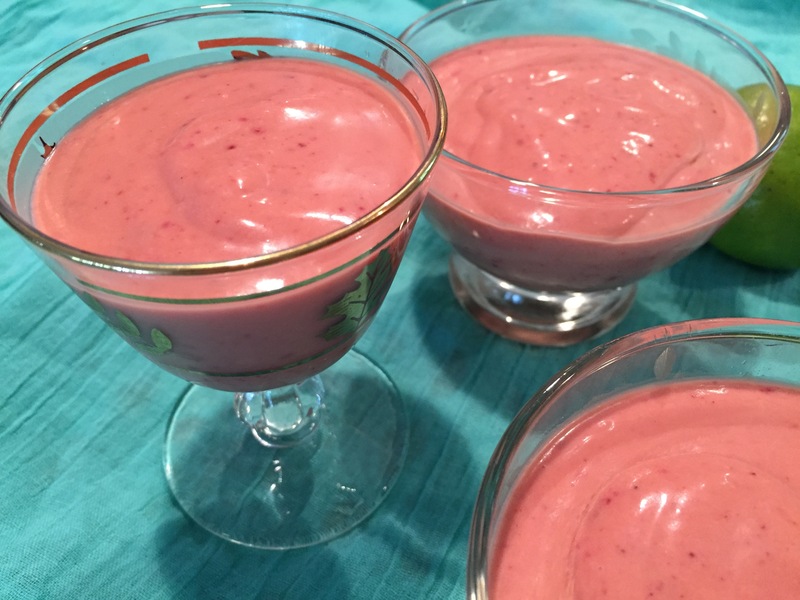 Everyone will love this mousse! It is healthy, delicious, and easy to make. When mixed, place in a loaf pan (no need to grease) and place in the fridge for 20 minutes. Take out, invert the pan onto a cutting board, and whack the block of set batter onto the cutting board. Cut into desired-size squares. These are packed with protein and a little goes a long way for taste and energy. Store in the fridge in a closed container. *Note: due to the coconut oil as the binder, these will melt in warm temperatures and are not a good snack for lunch boxes. They are a great snack otherwise!! 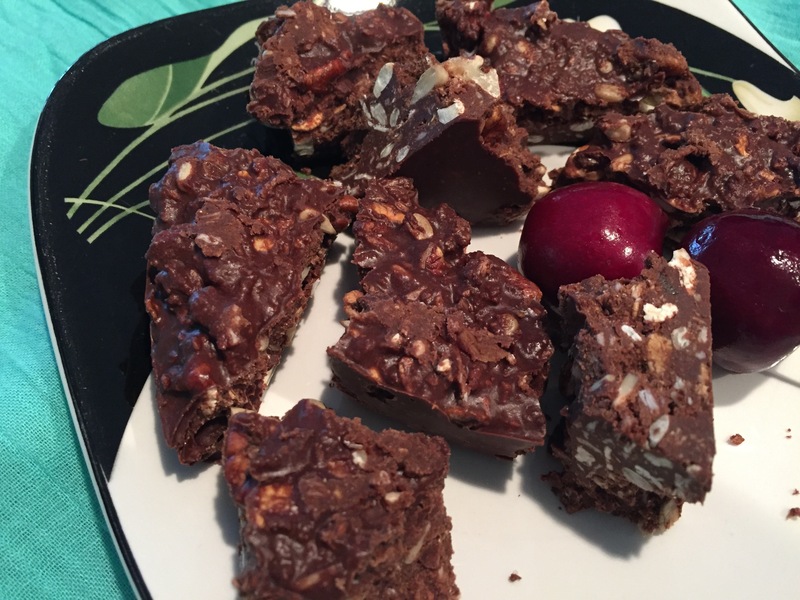 This entry was posted in Health and well being and tagged cocoa, Coconut oil, mango. Bookmark the permalink.